Loss can be devastating. Yet when you get support to be with your feelings, pain can become bearable. My husband Marty was a healthy 39-year-old runner who developed a sudden illness just after our baby’s first Christmas. A virus ate his heart muscle and sent him to the hospital with shortness of breath on New Year’s Day of 1992. The ugly virus caused massive heart failure a week after Marty was admitted to the ICU, and surgeons heroically saved him by installing a Ventricular Assist Device (VAD). The biggest problem with the VAD was that it permanently destroyed his actual heart. That meant he needed a heart transplant, so we were forced into a waiting game where we — sickeningly — hoped for another family’s tragic loss so that Marty could receive a donor heart. While we were waiting for a donor, I visited Marty on the evening of Valentine’s Day. I dimmed the lights a bit and squeezed in next to him in his bed. I put my arm around him and was shocked once again by the way the thundering vibrations of the VAD shook his entire body. Just then his ICU nurse burst into the room and flipped on the bright overhead lights. I glared at her. Why in the hell was she interrupting our intimate Valentine moment?! Because we had a heart! A healthy, well-matched donor heart was on its way! Everyone knew about the tragic young dad who was waiting for a heart. So as we waited for the heart to arrive, and while nurses scurried to prep Marty for his transplant surgery, nurses, doctors, respiratory therapists, and physical therapists from all over the hospital stopped in to congratulate us. Finally everything was ready. Marty and I kissed goodbye, and the nurse wheeled him into the operating room. And then they told me things weren’t going well. The new heart was struggling to keep up with the pressure in Marty’s lungs. His body wasn’t responding to the medications that were supposed to lower the lung pressure. Just after midnight, the cardiovascular surgeon, still wearing his scrubs, finally met me in the room where the gigantic heart-shaped balloon still hovered in the corner. In that cruel moment, life as I knew it was over. My innocence shattered and I howled like an animal as I was slapped by the reality that my beloved Marty, my baby son’s father, was dead. Hours later, I lugged my unrecognizable self out of the ICU with leaden legs. Walking from the sterile cocoon of the hospital into an unchosen life as a 30-year-old widow was like dragging myself over broken glass. It’s the hardest thing I’ve ever done. It took me slow, painstaking, miserable time to rebuild my life after Marty died. It took me more than a decade to actually thrive again. Even though I lived in a culture that pushed me to hurry up and get “back to normal,” I was fortunate to have family and a hard-core therapist who could bear witness to, and be with, my misery. They never rushed me. They understood that normal was annihilated and a new life was one that had to be rebuilt from shards. Over time, I did build a new life, a life I deeply love. But grief still informs that life all these years later. I will never be grateful that Marty died. And I will never be grateful for having had to learn what I learned by making my way back to life after death. Yet I will alwaysbe grateful that we humans are wired to love, and that love shines through the most horrific pain there is. A lot has happened in the more than a quarter-century since I was eviscerated by loss. I learned to sit in the darkness of grief, and to comprehend its anguished teachings. To pay forward the gift of presence that helped me bear the most painful transformation I’ve ever known, I became a therapist myself. I advocate for grief in the midst of a culture that doesn’t want to know how hard life can be. I midwife others through their losses and traumas. I honor their pain and help them to bear it, to heal and learn and grow, instead of encouraging them to run away from the pain like our culture encourages. Because I had the courage and support to go down and through my grief, grief reconstructed me from the ground up. Because grief rebuilt me, I possess the courage to support others to go down and through. Grief has taught me — in the most painful of all possible ways — about love. That is why I’m here talking to you, 26 years after Marty’s death. I’ve honored my relationship with Marty in some way on Valentine’s Day every year since his death. Marty always gave me a dozen red roses on Valentine’s Day. I know: It sounds trite, even silly. But it wasn’t. Marty had waited a long time to find me, and he cherished getting to share that time-honored tradition of hearts and red roses with me. On the first Valentine’s death anniversary, I bought myself a dozen red roses. I drove to a dozen of our favorite hangout places — from running tracks to restaurants to parks — and dropped a rose at the threshold of each place. I cried all day. On the second Valentine’s death anniversary, rage at the universe overtook me. I bought another dozen red roses and drove to the cemetery. I scattered the roses across the gray granite of Marty’s flat headstone, and I stomped every last one of those hateful thorny blossoms into the stone. I ground them into a deep red pulp with the heel of my boot while I screamed rage into the void. I’ve created many other Valentine’s rituals over the years. This year, I’m sharing my Valentine’s death anniversary with you. This year, instead of a dozen roses, I honor what grief has taught me by revealing a dozen things I’ve learned about love through losing my partner and best friend. Lucky for me, before I found Marty, I’d experienced some difficulty in a relationship, and I’d learned from it. So during my marriage to Marty, I understood how good I had it. I appreciated him and I was aware of my gratitude. That is, I had no regrets. Grief and regret are not the same thing. Grief moves and flows and heals. Regret is a never-ending loop of suffering and torture. When you become aware of the good in your life before it’s gone, when you allow yourself to notice and be grateful for small kindnesses and everyday moments, you’ll know what you have beforeit’s gone. And you’ll never regret that. When I lost Marty, I was terrified I’d forget him. I panicked when I thought the love we shared might evaporate into the ether. For sure, a lot of the memories did fade. I have to listen to audio recordings to remember his voice. Some of the details of our life together have become fuzzy. One day early in the grief process, I realized that almost every action I took was influenced by my relationship with Marty. It’s hard to notice the kind of influence another person has on you while they’re still around. Yet in his absence, I could see that my thought processes had been expanded by the way Marty and I had shared ideas. A now-natural spirit of adventure reflected the way he’d encouraged me to take healthy risks to live a full life. The way I laughed at life’s absurdities had been deepened by his dry wit. All these influences continue to this day. The impressions he made on me have affected the choices I’ve made each day that I’ve continued to live my life. In this way, his love continues to undergird my life even after all this time. Allow yourself to be loved. When you permit yourself to really love someone and be loved, they affect the cells of your body and the makeup of your personality. You’re permanently changed by having let them into your heart. Our get-over-it-quickly culture teaches that grief is a process that proceeds in orderly steps toward the final step of closure or acceptance. We believe that when we “achieve” closure, we’re finished grieving and we won’t hurt anymore. Whether you lose someone to death, divorce, mental illness, or anything else, you don’t “get over” a loss. If you have support to move through your emotions, their intensity and duration will decrease over time. But the imprint left behind by the person you loved is indelibly pressed upon your innards, and remains intact forever. When something like a memory, or a smell, or a life transition touches you in the center of that inner place of love, you’ll miss your loved one all over again. Intensely. When my son graduated from high school, I ached for his father to see what an amazing young man he’d become. Just last week I had some ideas I knew Marty would appreciate and understand in a very particular way, and I cried with longing. These moments of pain feel like gifts to me. They are reminders of the depth to which Marty’s love still lives within me. When you can remember that sadness, missing and longing are normal feelings that don’t need to be eradicated. Instead, they’re feelings that you can bear to feel, and that indicate a depth of love. Those moments of missing blossom with truth and meaning. There were times I thought the anguish of grief might kill me. The waves of sadness, anger, devastation, and longing knocked me down over and over and over again. But never once did I wish that I’d never met Marty. Instinctively, I knew that the pain I felt was the emotional manifestation of how much his love had filled me up. The only way to have not felt that pain would have been to have not known the depth of our love. The intense pain created by his absence revealed the magnitude of love we’d shared. We humans are wired to love, to attach, to need each other. Yet to love is to be vulnerable to loss. There is no way to prevent feelings of grief except to shut yourself off from love. Open yourself to receive as much love as comes your way. Love, truly shared, is worth every tear. I married Rod 11 years after Marty died. It took me that long to find a husband who could unflinchingly face my life experience, know how it affected me, and actually likethat about me. The first time we met, Rod asked to hear the story of Marty. On our second date, he presented me with a poem/painting he’d created in response to hearing my story. Rod has lived through hard times, and he’s as intense as I am post-death. He trusts that I’m completely open to life in the present with him, even as Marty still lives within me. Since my son was 12 years old, Rod has been a dauntless father to him, even as he knows my son holds two dads in his heart. On the first Valentine’s morning after we got married, Rod held me while I cried over the past. That evening he made me squeal and laugh when he surprised me with an enormous bowl of marinated tomatoes — a decadent treat that I only allowed myself to have in small doses because of their expense. He found his very own bright-red way into my Valentine’s Day heart. My love for Rod is every bit as enormous as my love for Marty. Rod didn’t supplant Marty in my heart, and Marty doesn’t cramp the heart-space I have available for Rod. My heart grew to hold a full-sized love for both of them at once. Sometimes it almost hurts to feel so much love at once, kind of like when your face hurts after smiling for 12 hours on your wedding day. Don’t hold back your love. Your heart will expand to hold as much love as comes your way. When Marty died, I didn’t care if I lived or died on my own behalf. Simultaneously, when I looked at my then-11-month-old child, I passionately wanted to live no matter what it cost me. The second Valentine’s Day after Marty died, I stomped on roses because I hated life’s injustice and was furious that I was left behind while Marty was free of pain. Simultaneously, as I watched myself trampling the roses I marveled at the intensity of life-force that flowed through my body in my anger, and I cried with gratitude for being alive to experience it. We’re taught a simplistic model of emotion in our culture. We think we can feel only one emotion at a time. We fear that gratitude will eradicate our grief, that anger will obliterate our love. Emotions are more richly textured than that. Just as your heart will enlarge to hold all the love that’s available to you, your heart will also stretch to feel many emotions at once. Feel it all. I’m a strong person. I was raised to be self-sufficient and independent. Plus, I grew up in a culture that claims that it’s better to give than it is to receive. Boy, was I humbled about that when Marty died. When I suddenly found myself as a sole parent awash in emotions that threatened to drown me, one of the first things I realized is that I couldn’t survive on my own. I had to rely on the generous people around me for practical and emotional support. At first, it felt humiliating to ask for help from friends and family for things like childcare, assembling a bookshelf, or probating the will. I felt desperate when I decided to turn to a therapist for support around the big emotions. Yet as I began to reach out, and then to receive what was being offered to me, I realized that receptivity is a skill. The people who freely gave time and energy and love to me felt loved by mewhen I accepted what they offered. Many people offered me help to pay forward help they’d received in the past when they were in need, and it was meaningful to them to be allowed to pass that help along. My therapist’s presence with me felt like love. When I took in her support, my capacity to bear the difficult emotions expanded exponentially, and she was touched. People wantto help. People have a lot to give. When you receive what they offer to you with gratitude, you are participating in an exchange of love. Grief itself is hard to bear, and it can be frightening and overwhelming because it’s surprisingly intense and long-lasting. When our social brains are in such distress, what we most need is to be understood. Feeling like our emotions are understood is often the only thing that helps in times of anguish. Yet we live in a culture that shames vulnerability, and encourages using positive thinking to eradicate sadness, so we end up being emotionally left alone when we are suffering the most. Being alone and not understood within grief is hell. When my therapist or friends or family members met me inside the depths of my sadness or rage or confusion and didn’t try to fix me, the connection we shared in those dark places deepened our relationships with each other. Bearing witness to the anguish of life together is a spiritual act. When you can allow people who can understand your sadness and pain to walk into the scary places with you, you will feel a connection within your pain — a connection that does not make the pain go away, but that helps you bear the hurt. Connection withinpain is love. In the years after I lost Marty, and before I met Rod, I felt unbearably lonely. I longed for a partner with whom to parent my son; I longed for commitment; I longed for love in everyday moments. Well-meaning (mostly married) friends preached to me that I needed to learn to be okay with being alone, or get a roommate, or something, anything,to get over feeling so lonely. The trouble was that I wasokay. That is, I was living a full life — first grieving fully, then pursuing a graduate degree in work I was passionate about, parenting a lively child who made me laugh, and expanding my emotional intelligence every day. Yet loneliness and longing lurked beneath the surface of every full-life moment. I was lonely, and I was okay. It’s normal to feel lonely when you don’t have a partner and you want one. Loneliness is an emotion that signals that a need is not being met. It’s not something you get over by thinking it away or by making more friends. Attachment theory clearly demonstrates that social loneliness (that is, the kind of loneliness that arises from not spending time with friends, etc.) is different from attachment loneliness (the kind of loneliness that arises from longing for a partner). Getting together with friends or finding a roommate rarely assuages attachment loneliness. If you feel attachment loneliness, please know that it’s okay and it’s normal. Feeling your loneliness and longing is part of being healthy. If you feel attachment loneliness, find ways to nurture yourself and comfort yourself, because the ache of that kind of loneliness is a natural part of life. Allowing yourself the space to honor that you feel lonely and that you need comfort, can alleviate the suffering about the suffering. Death, trauma, and loss of all sorts force you to face the existential truths of mortality, randomness, and the essential lack of control you have over many life events. Having the veil of the protective illusion of control ripped from your eyes can leave you feeling alone, small, and fragile. In the face of this existential pain and bewilderment, the vast, impersonal presence of nature helped me feel less desperate and less alone. At night I laid on the grass in my backyard and stared up at the moon. The sturdy presence of the moon in all its phases helped me hold on to some larger order in the universe, an order outside the chaos that had enveloped my life. When I was overcome with any intense emotion that threatened to make my body explode — sadness, anger, loneliness, despair — I’d run as fast as I could in the heat of the day. When no other human — not even one of my most stalwart supporters — could match the enormity of my pain, the burning sun that seared my skin made me feel met and understood. When you’re facing life events and emotions that threaten to break you, turn to nature. Nature will be able to match your intensity. Nature won’t judge you. Nature won’t fall apart if you scream or cry or thrash around. As I made my way through my years of grief, I had to face emotions all over the map. I felt sadness, longing, rage, anguish, despair. I don’t even have words to describe all the emotions I felt. As I had the support to gather the courage to let the emotions flow through me, I learned that I had the capacity to feel anything that was hurled my way. I learned that I could remain open to the full range of my emotional experience. Because I didn’t have to shut down anyemotion, I began to feel a sense of vitality that I’d never known before my suffering. Way more robust than a one-note song of happiness or a superficial grasping after resilience, the clarity of emotional experience that runs the gamut from despair to elation led me to the joy of enlivenment. The joy of enlivenment is not a “positive” feeling. It’s living fully with no part of you closed off. Enlivenment is alwayswith you, whether you feel up or down. Finding support from at least one other person who can be with you as you expand your capacity to feel will generate a love for life that can never be taken away from you, no matter how hard life becomes. It can be hard to be alone on Valentine’s Day if you’ve lost a partner, if you long for a partner and don’t have one, or if you’re alone for any reason. Like on any holiday, it’s easy to take our celebrations for granted when we’re having a good time. Our culture celebrates joy and strength, and banishes grief and vulnerability. Those of us who are lucky enough to feel celebratory on Valentine’s Day have been socialized to ignore or gloss over the pain others might feel, or to worry that if we acknowledge their sadness, we’ll upset them. I’m not suggesting that if you feel celebratory you should be ashamed of, or keep quiet about, your holiday plans. Neither am I promoting political correctness where you repress your happiness to avoid hurting other people’s feelings. I just want to encourage you to take time to remember those around you who might be struggling with the Valentine’s Day. Tell your partnerless-not-by-choice friend that your heart aches for her. Send a card to your neighbor whose husband died. 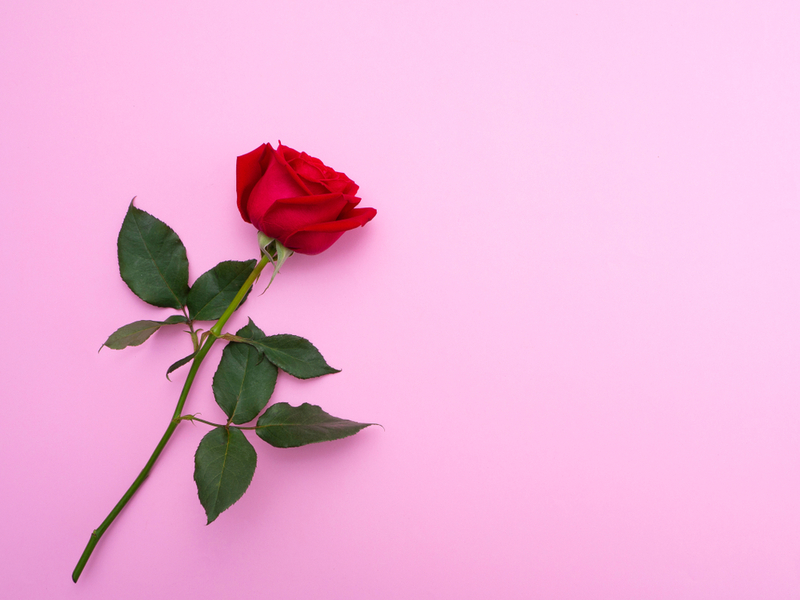 If you’re doing okay this Valentine’s Day, remember that noticing and remembering people who might be grieving or in pain can help to soothe pain that cannot be cured. And it might help you to appreciate your own partner, if you have one. If you’re grieving this Valentine’s Day, know that that’s normal and okay, and that I understand. If you or someone you care about has experienced a loss, CLICK HERE to download a copy of the FREE e-book Your Grief is Your Own: Dispelling Common Myths About Grief.